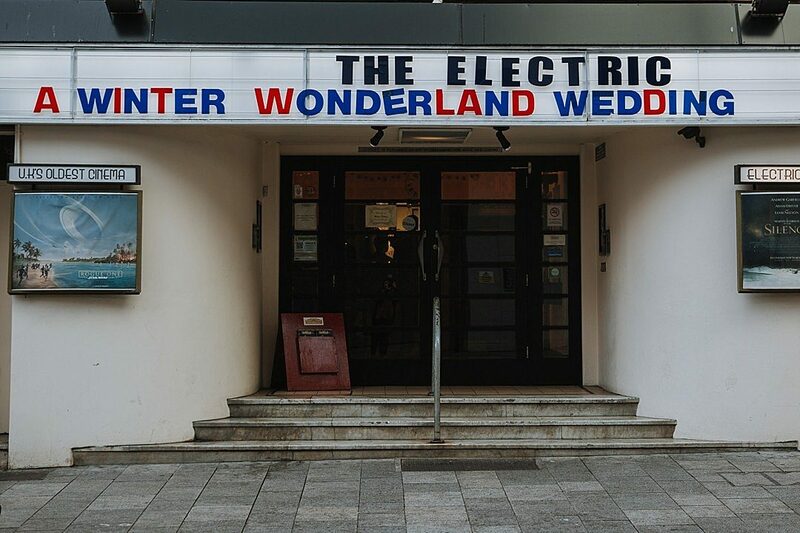 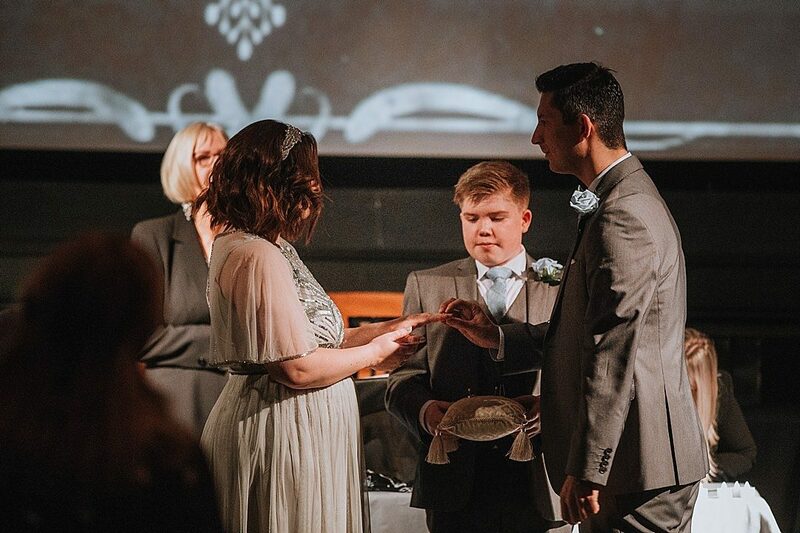 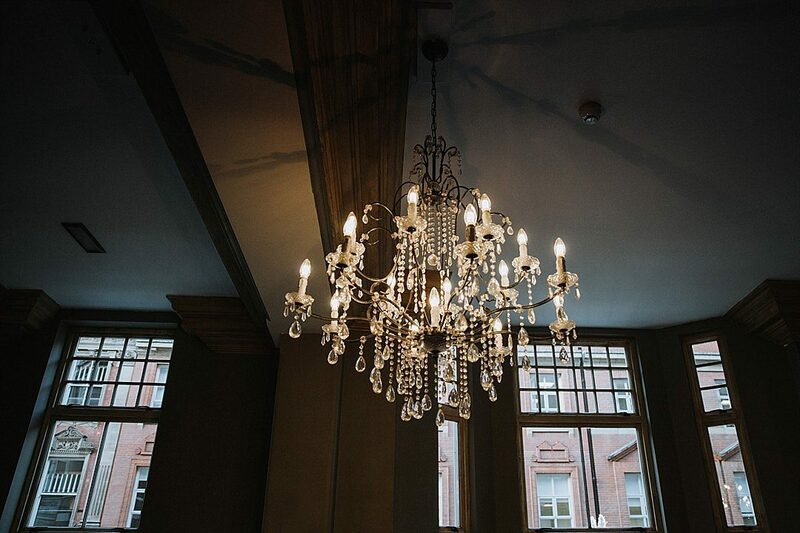 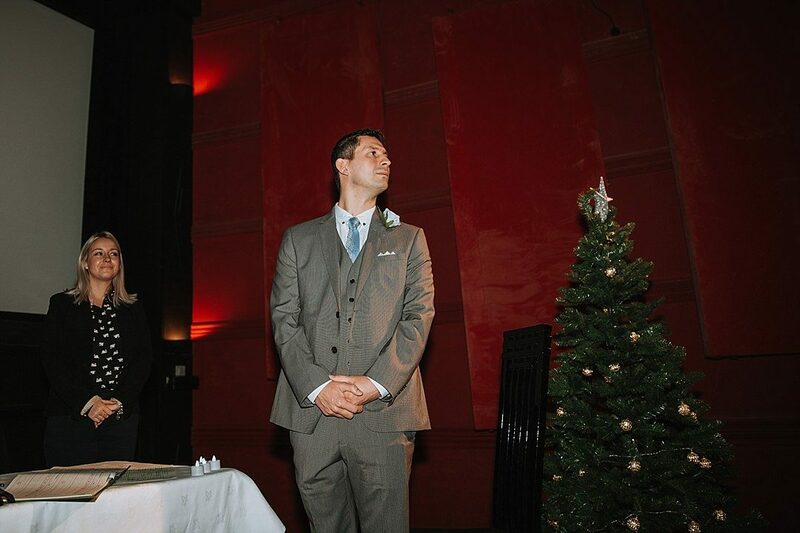 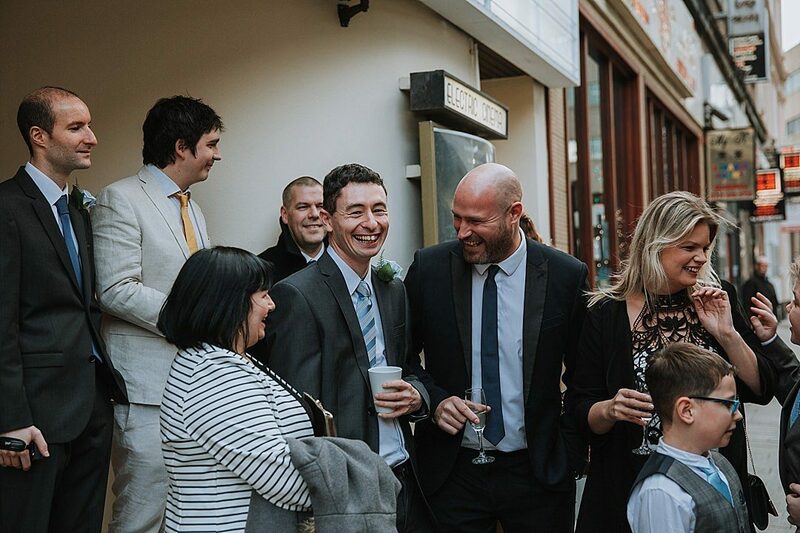 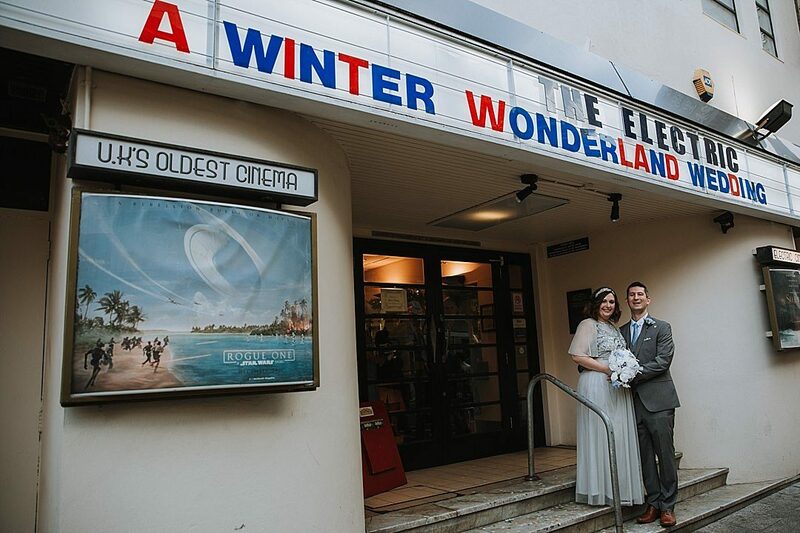 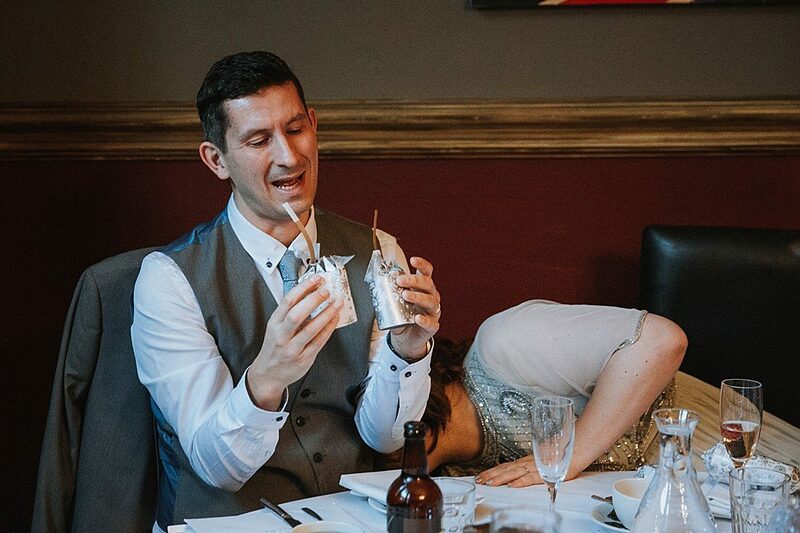 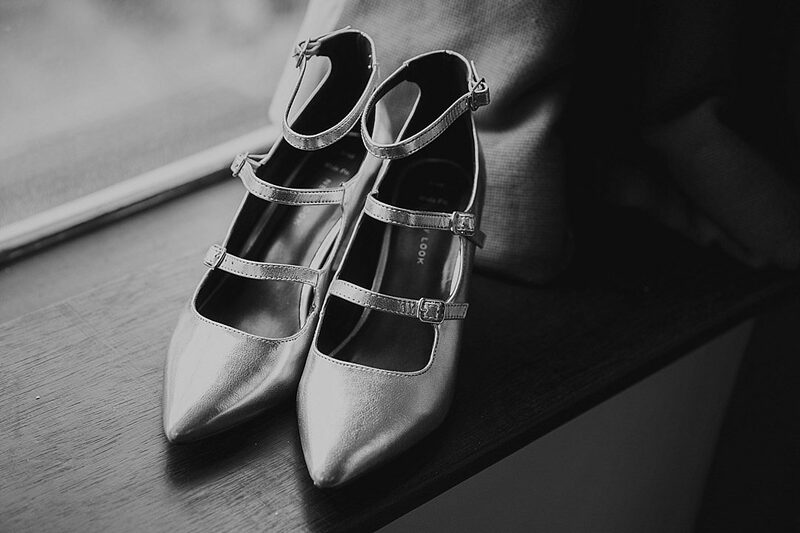 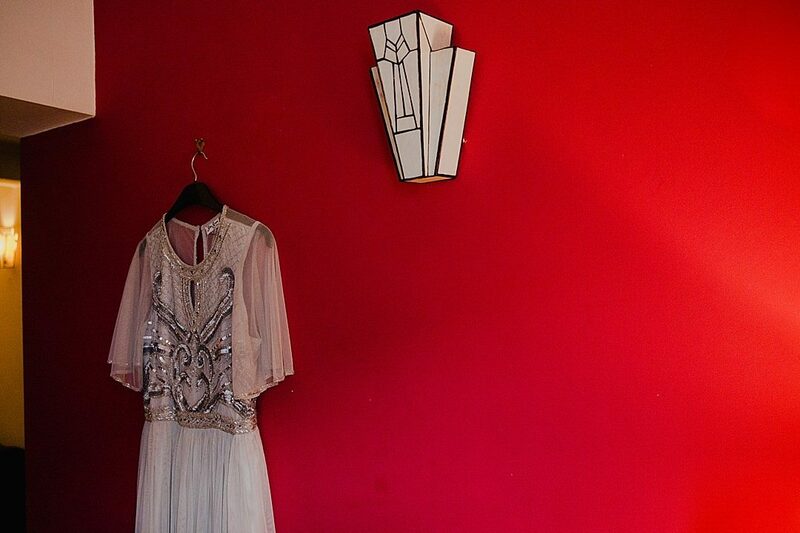 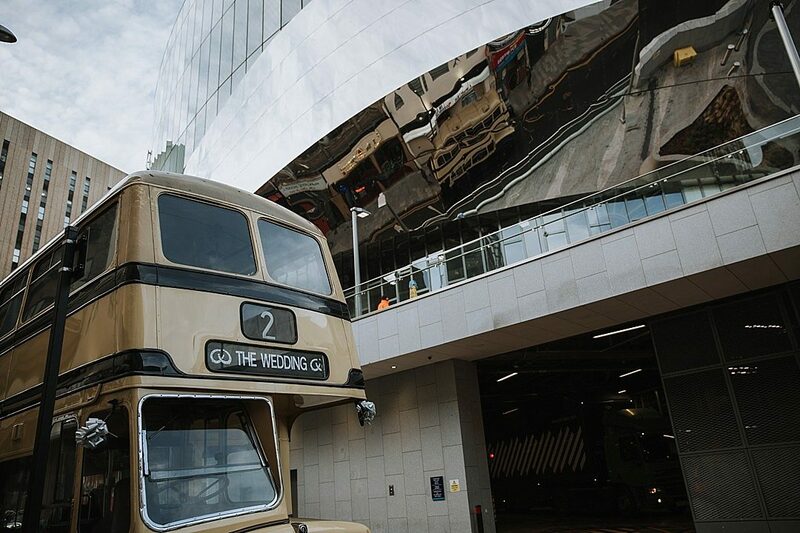 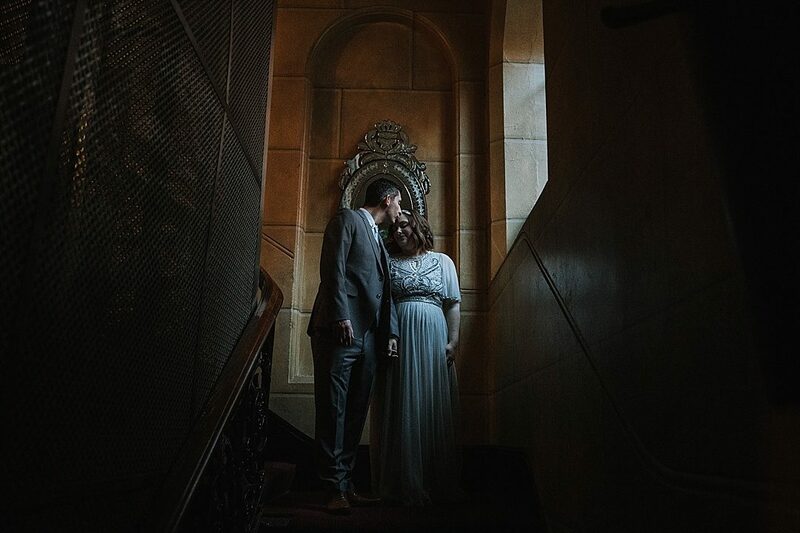 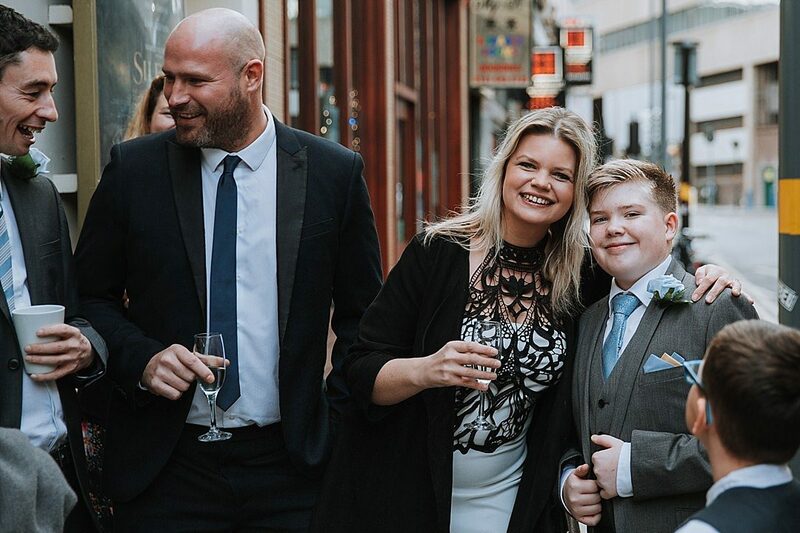 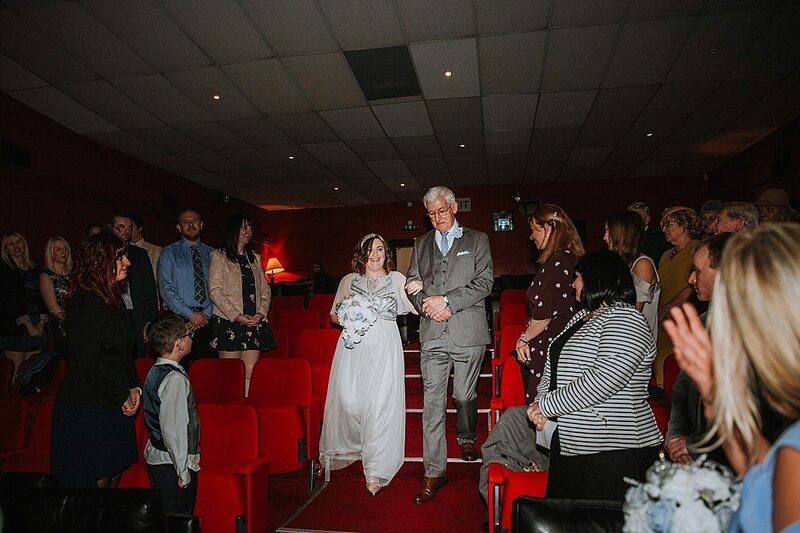 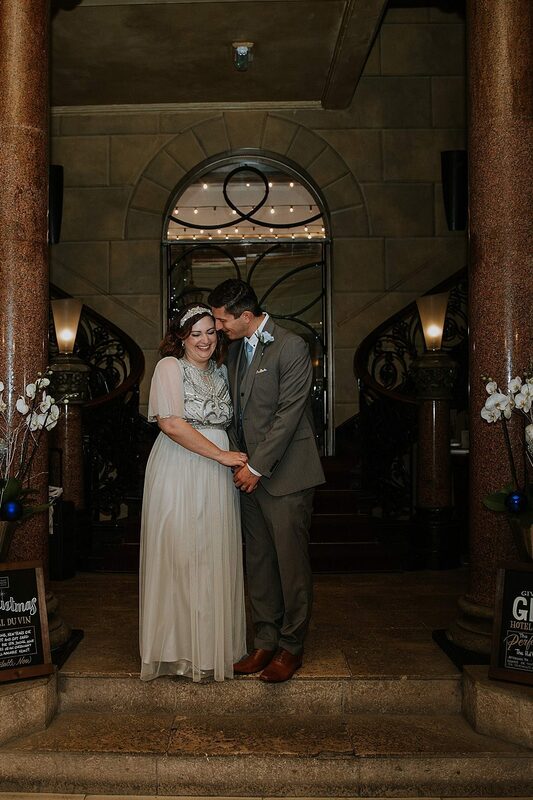 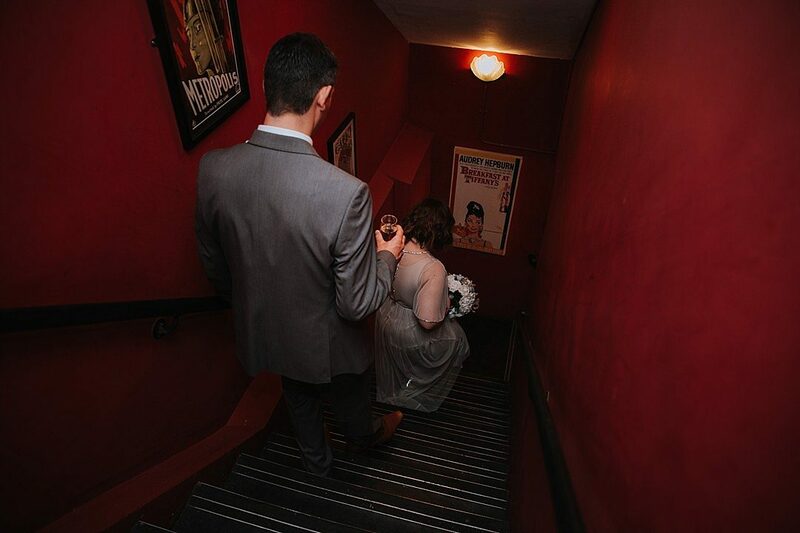 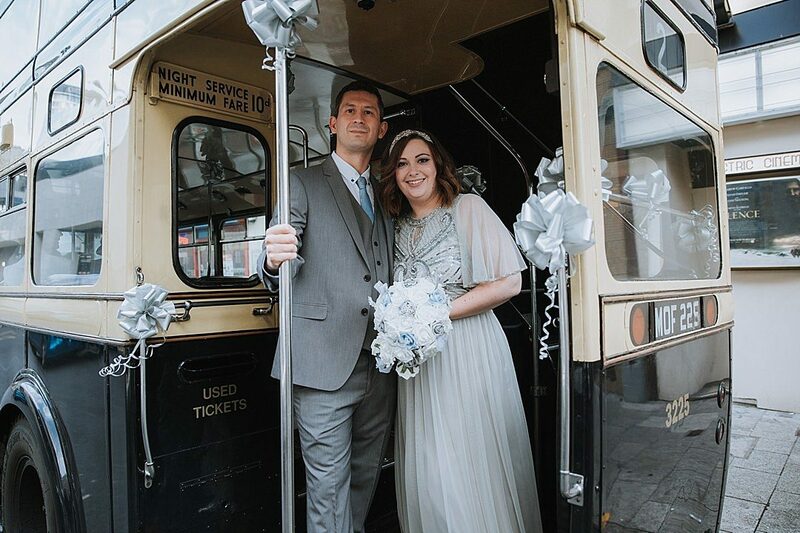 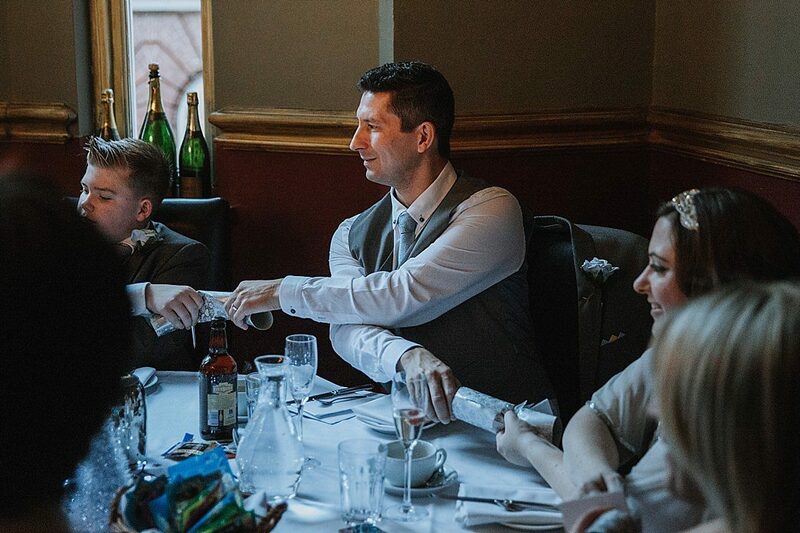 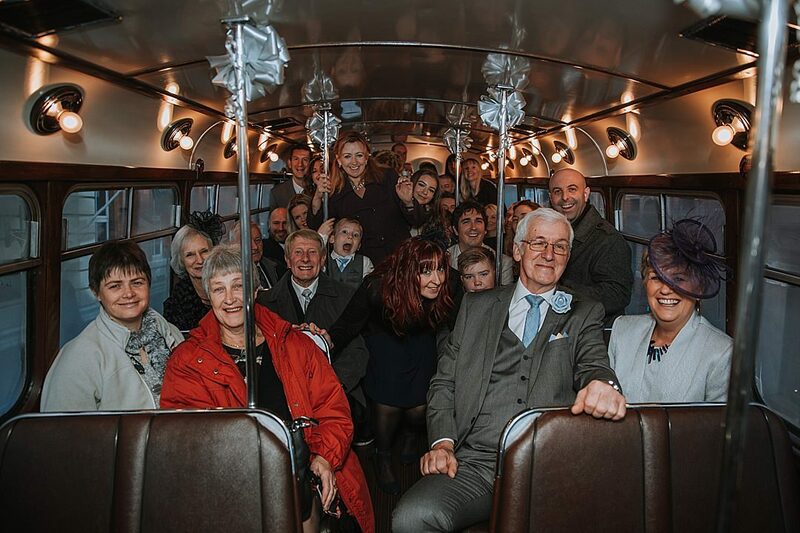 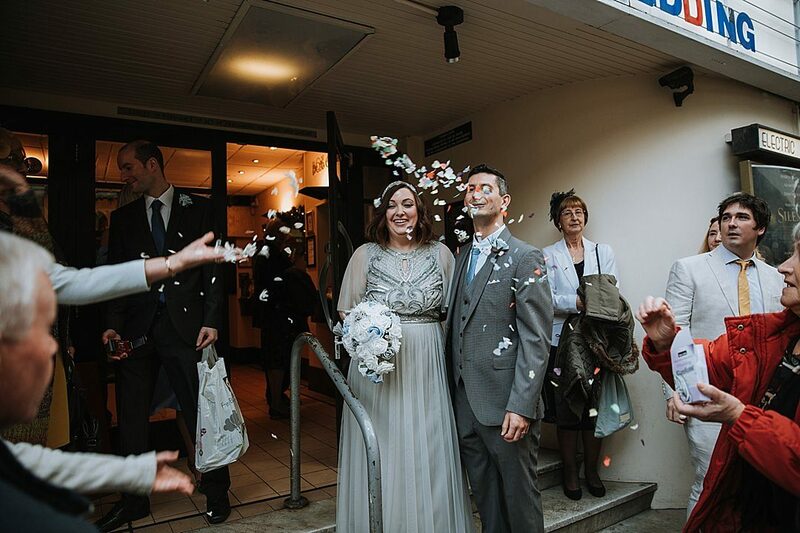 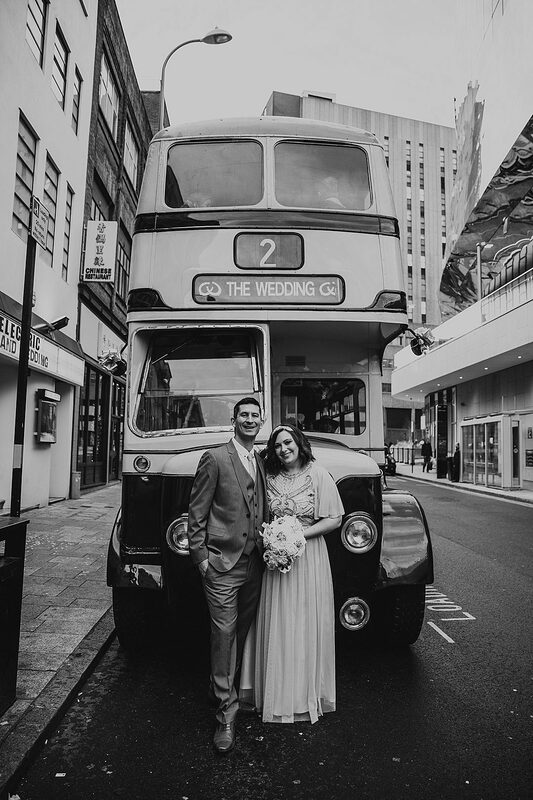 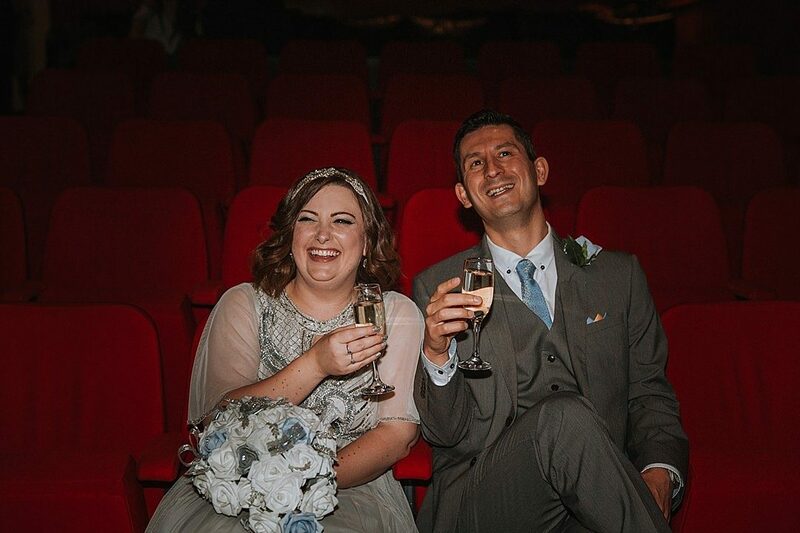 Kirsty & Stephen tied the knot at the beautiful Electric Cinema in Birmingham. 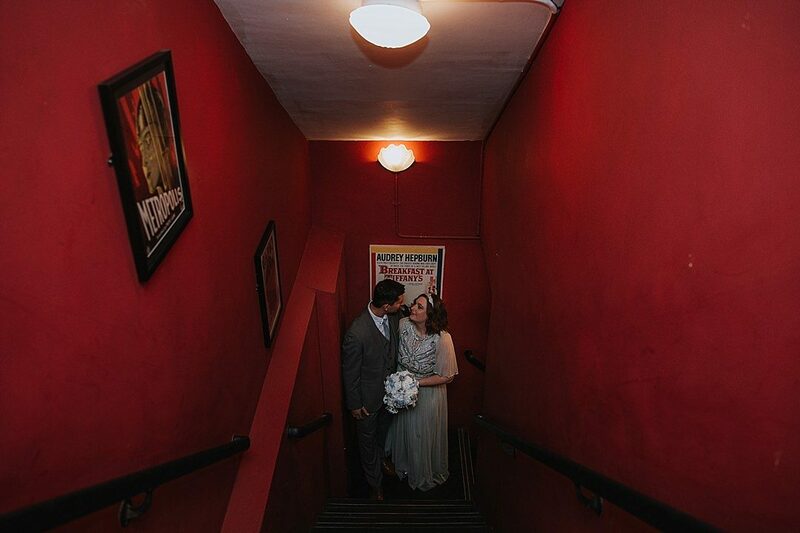 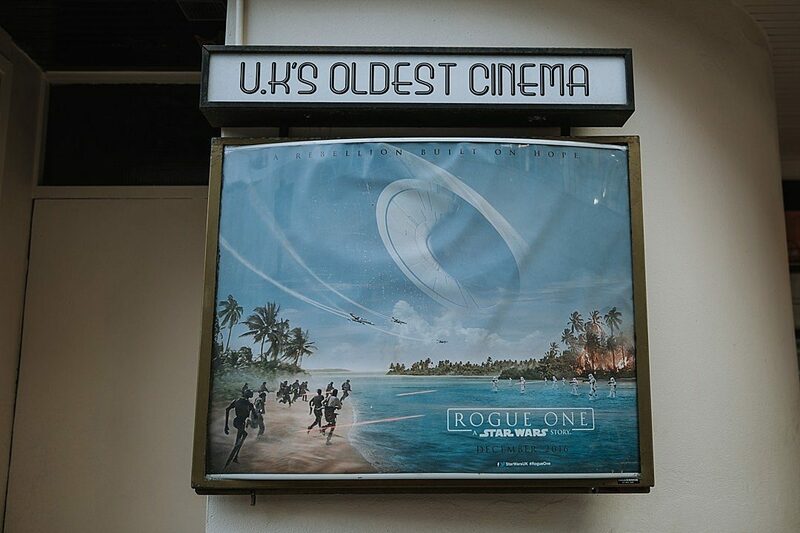 It’s a very old quirky cinema in the city which often hosts weddings. 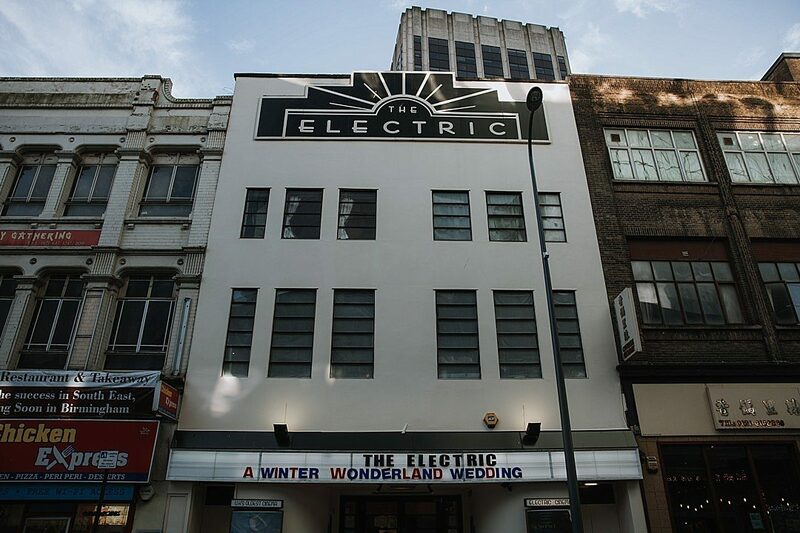 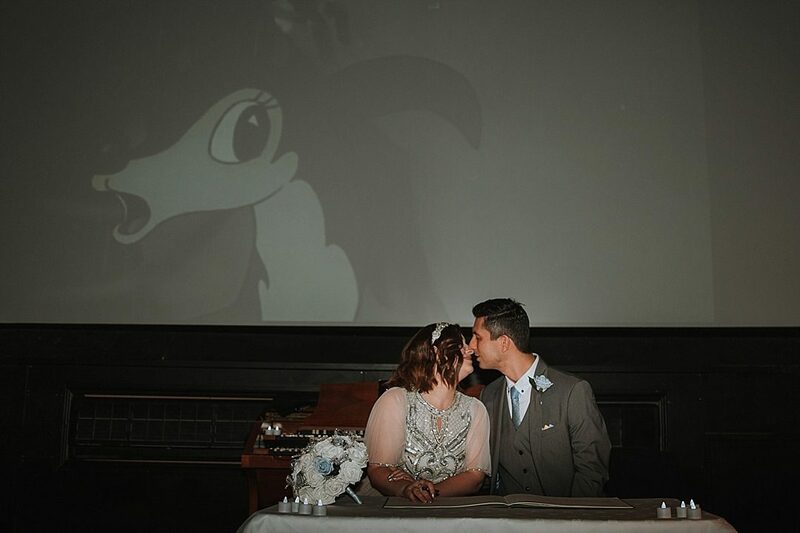 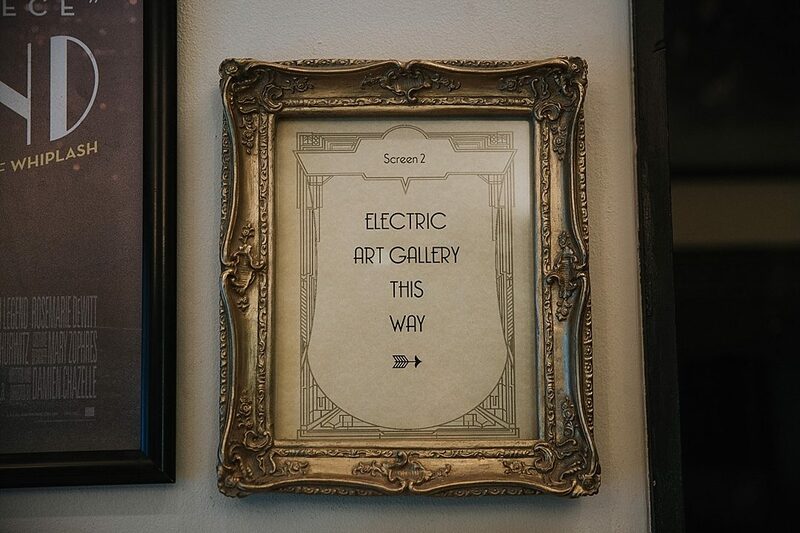 I made a seperate page on Electric Cinema weddings here. 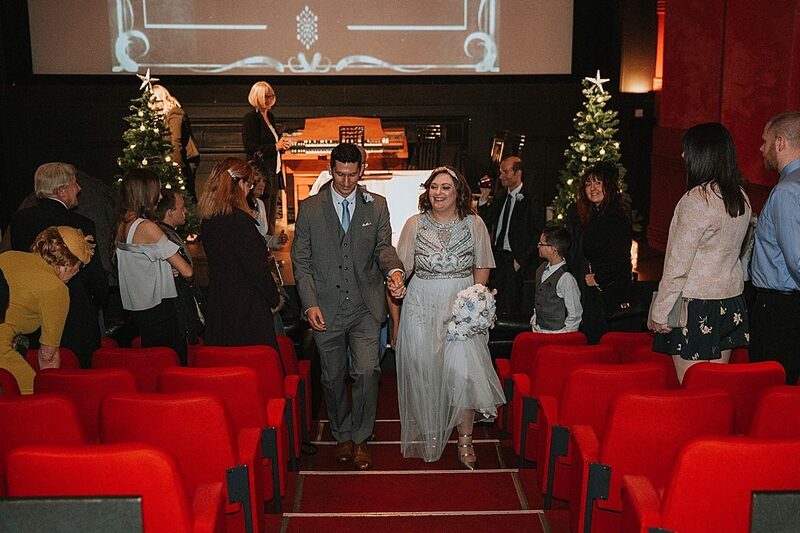 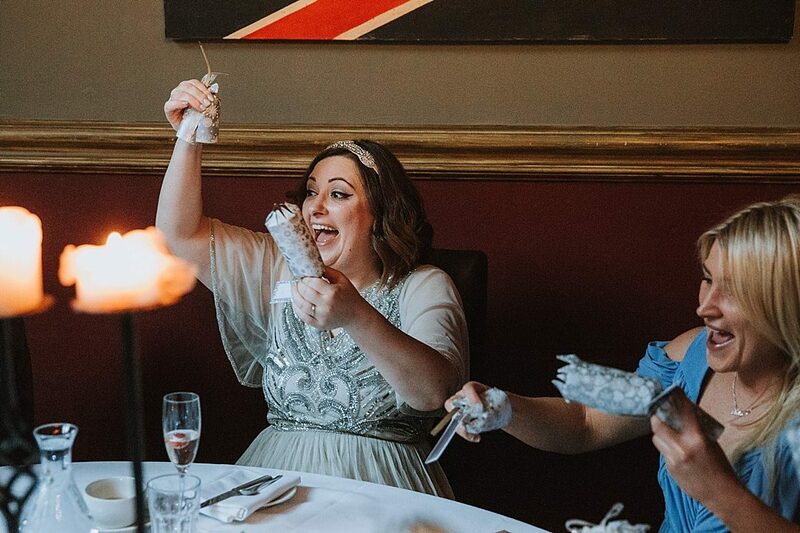 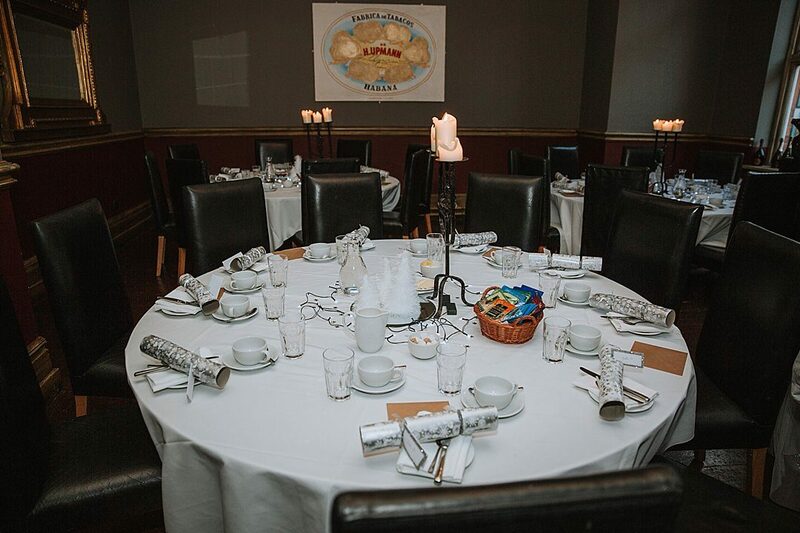 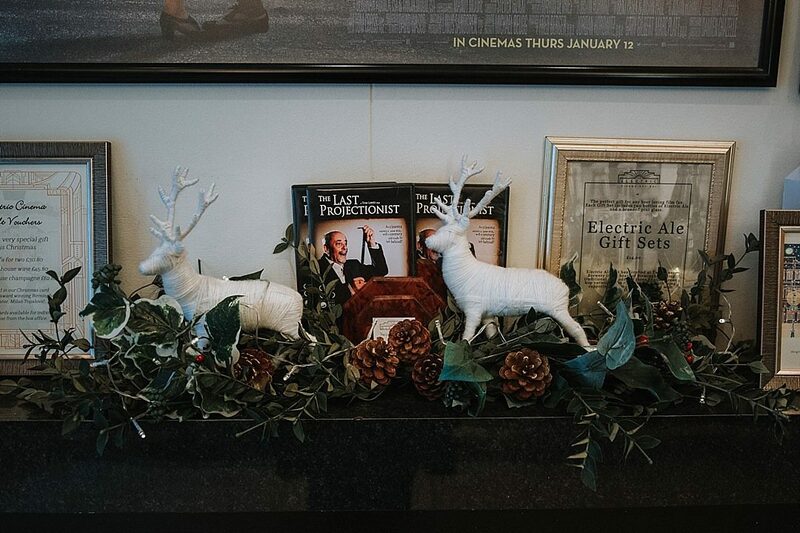 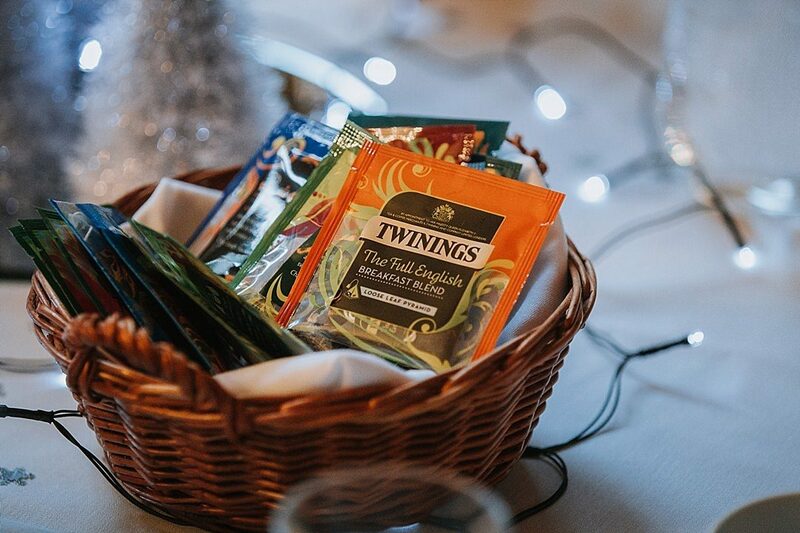 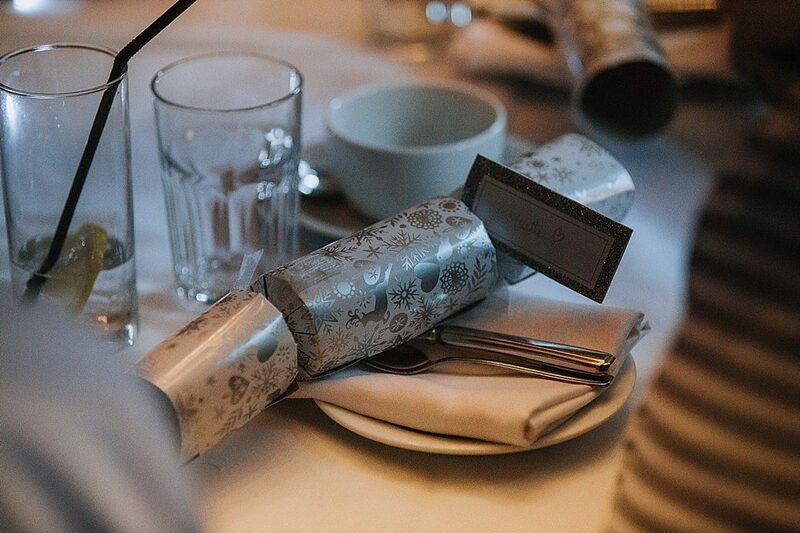 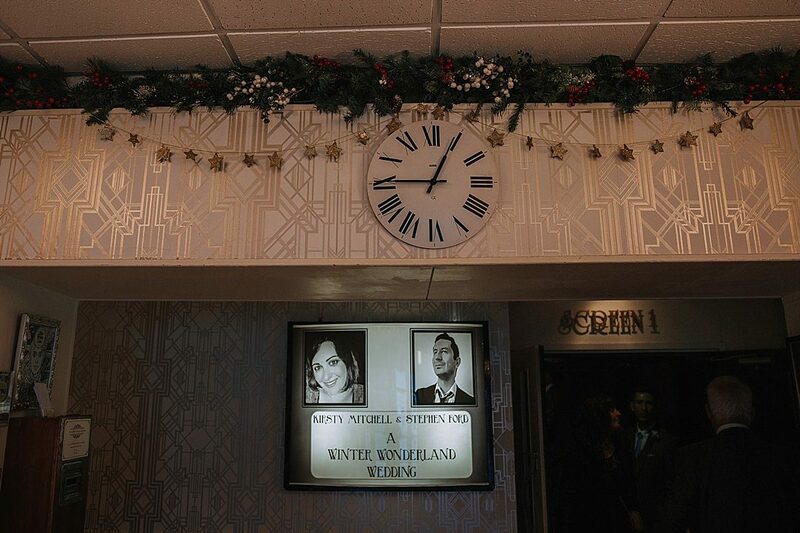 They decided on a Christmas theme, as their wedding was only a couple of days before Christmas – and it was so lovely. 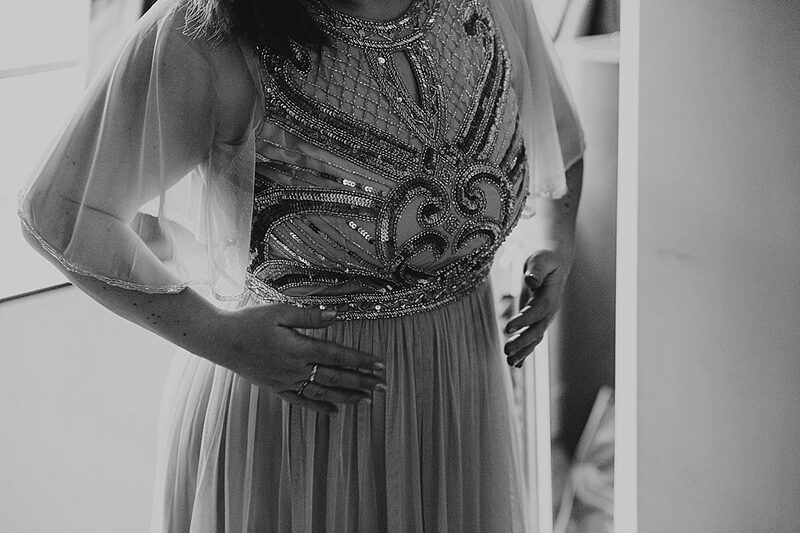 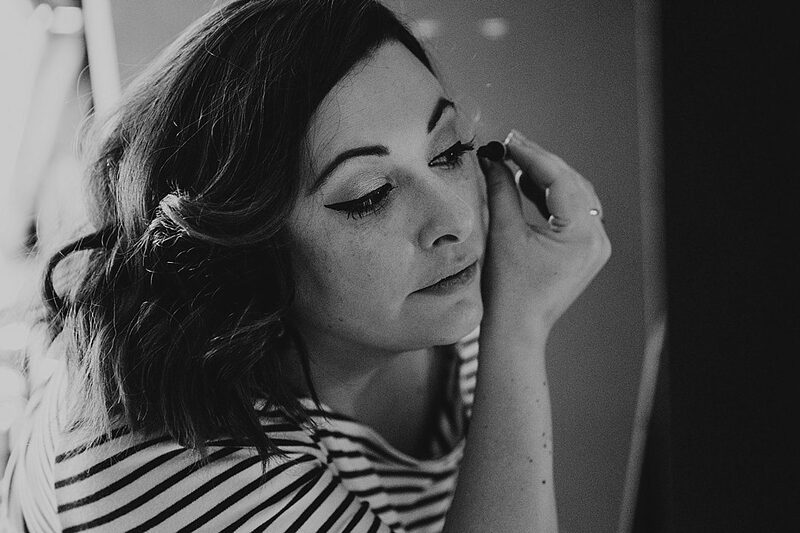 Kirsty chose a magnificent dress which suited her so well, I couldn’t stop raving about how pretty it was. 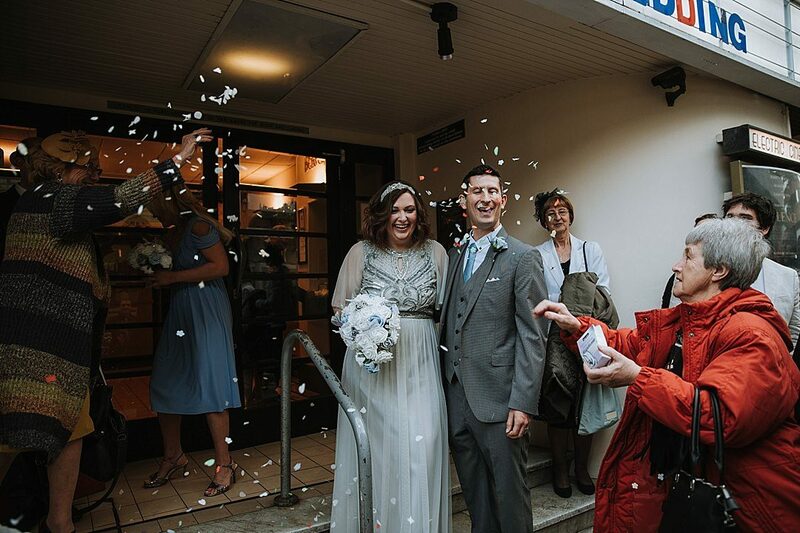 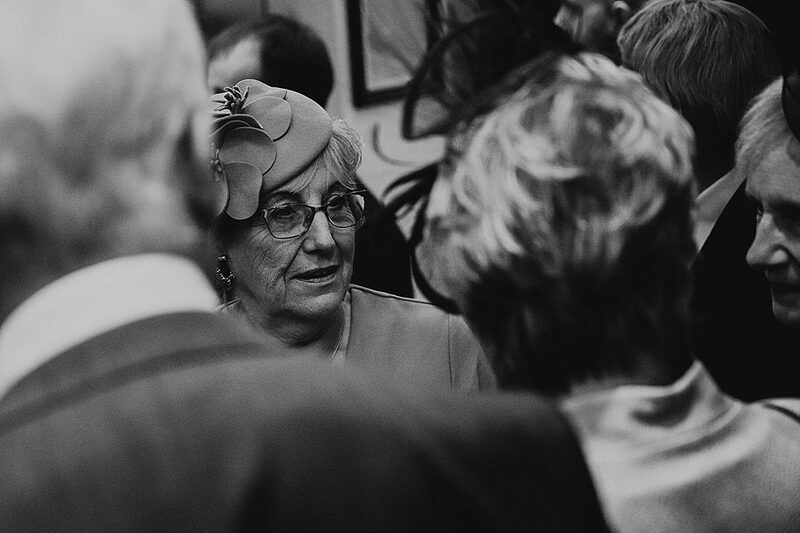 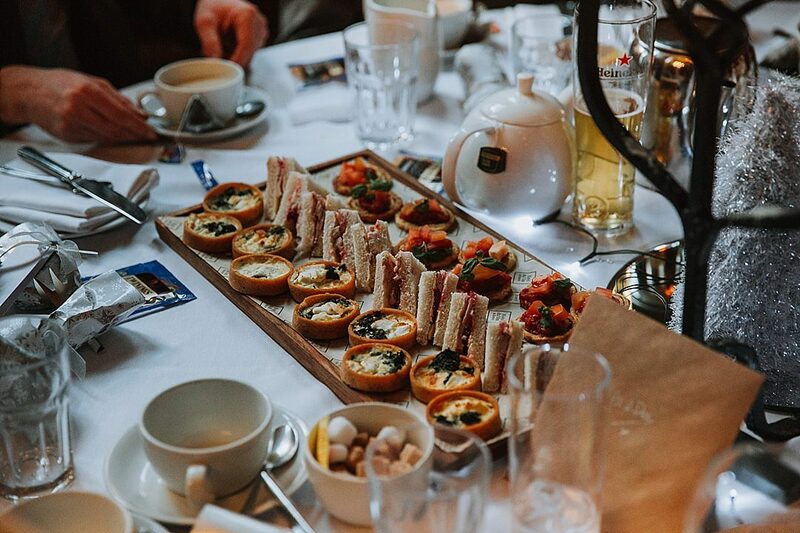 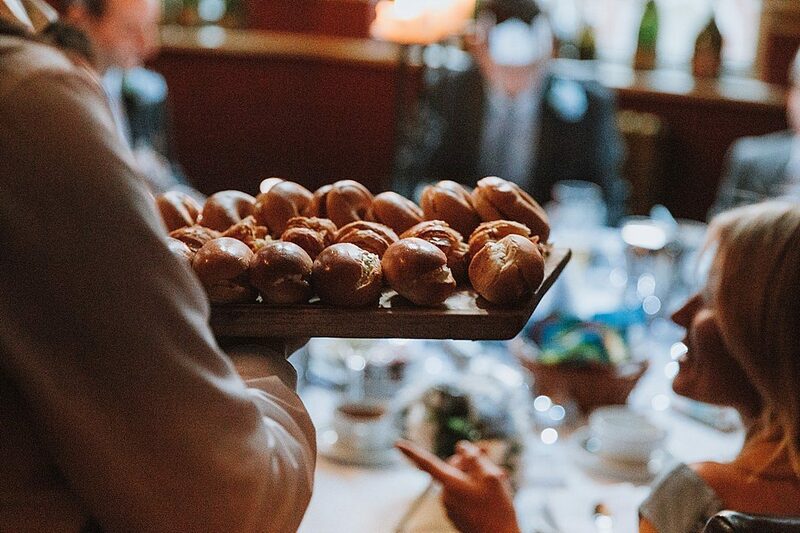 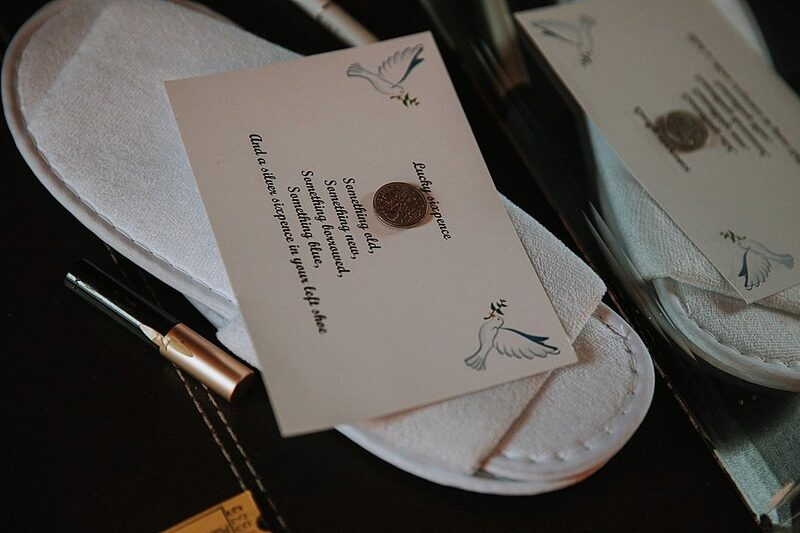 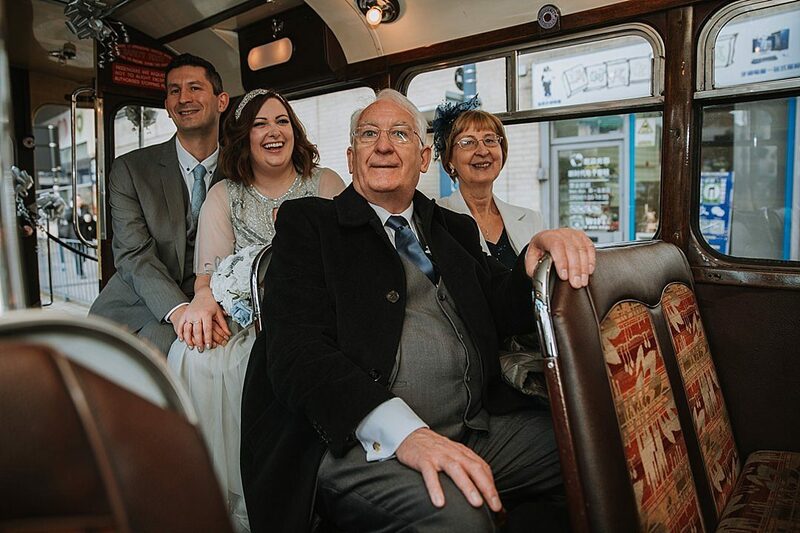 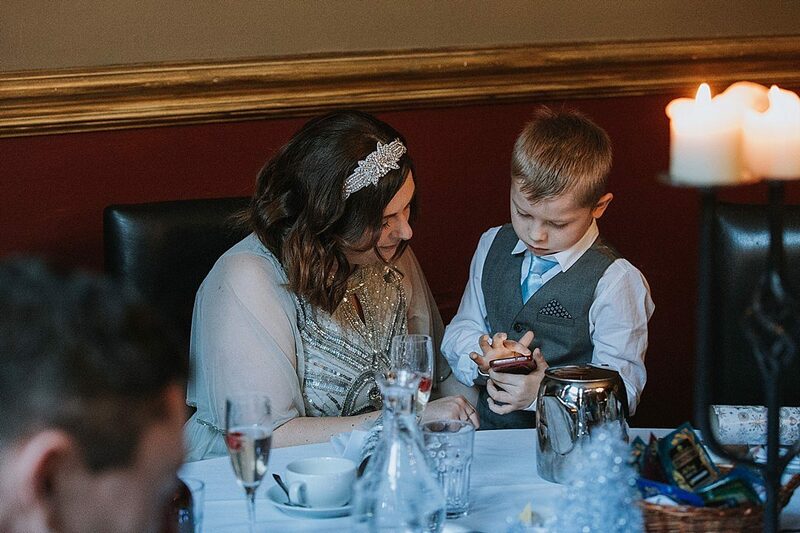 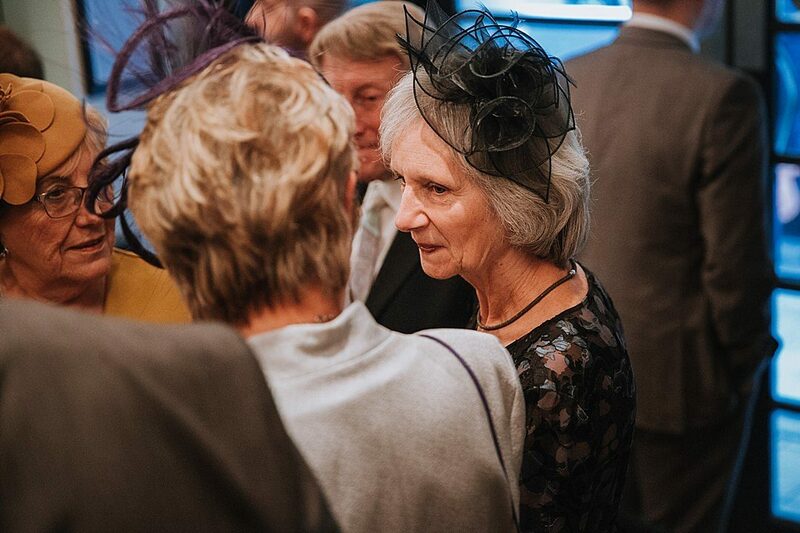 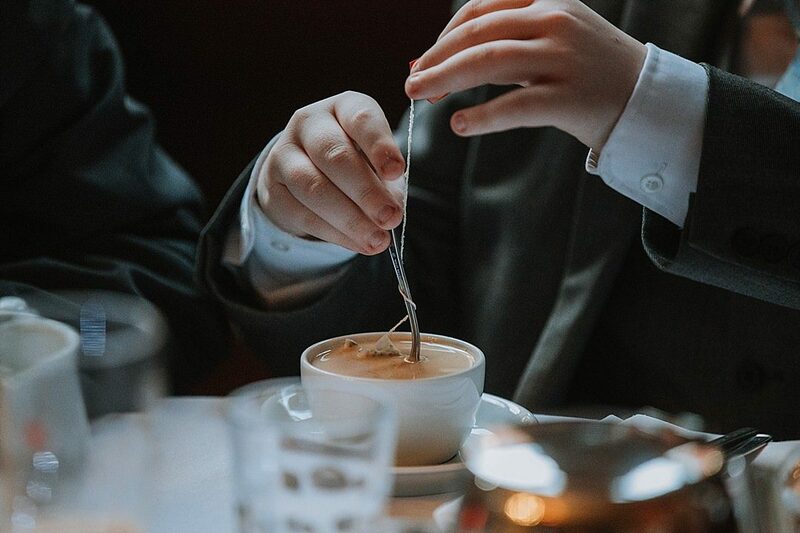 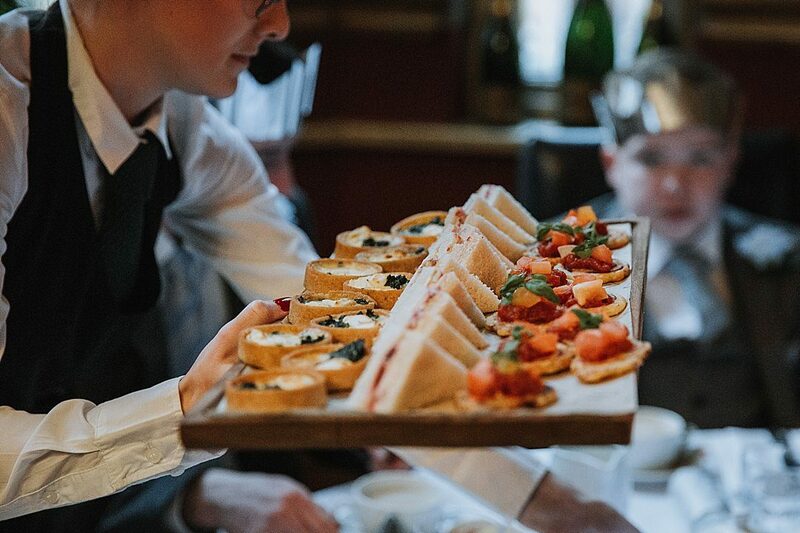 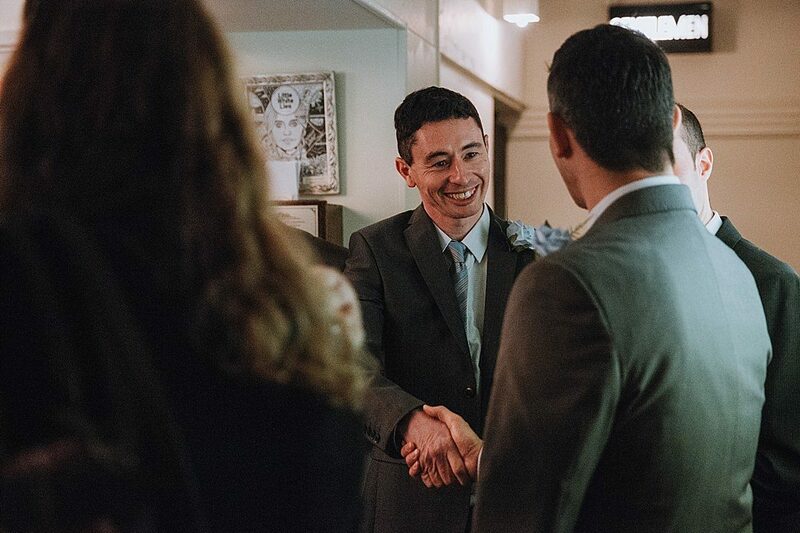 It was an intimate day with their nearest and dearest, with a cream tea after their ceremony at Hotel Du vin. 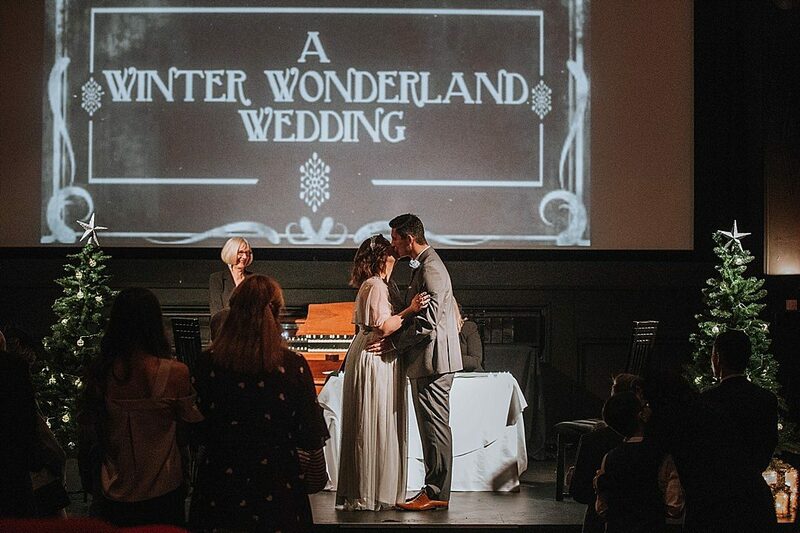 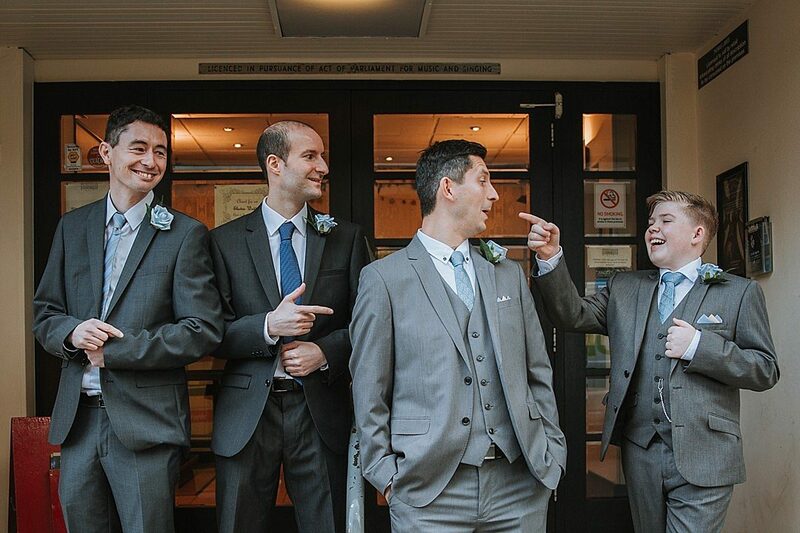 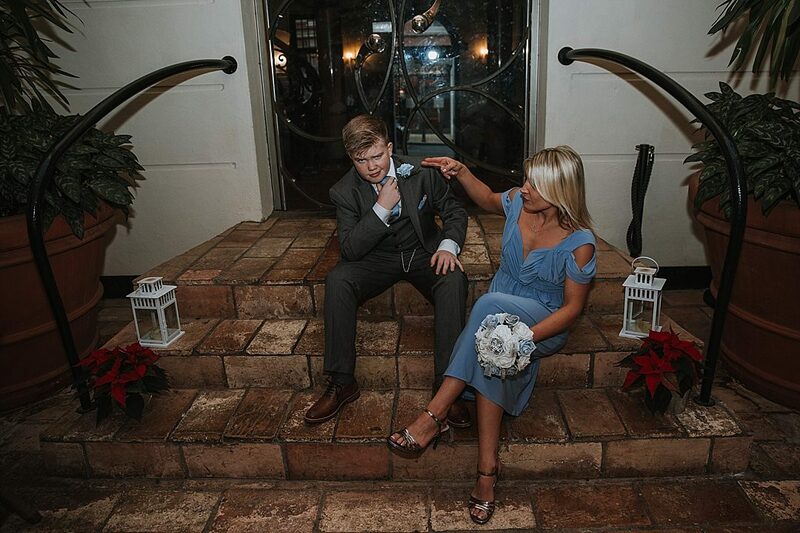 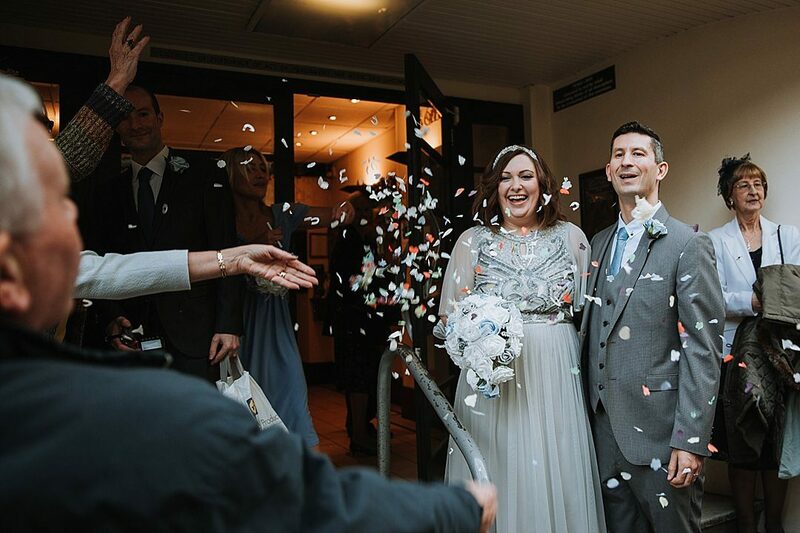 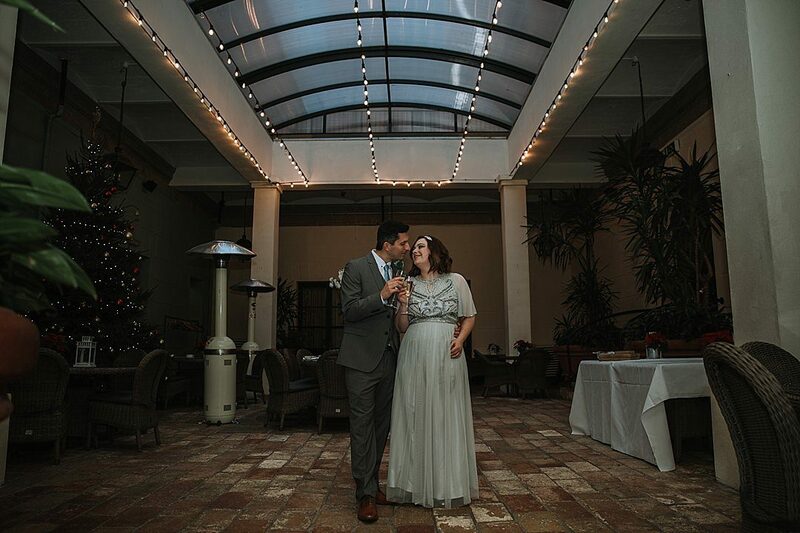 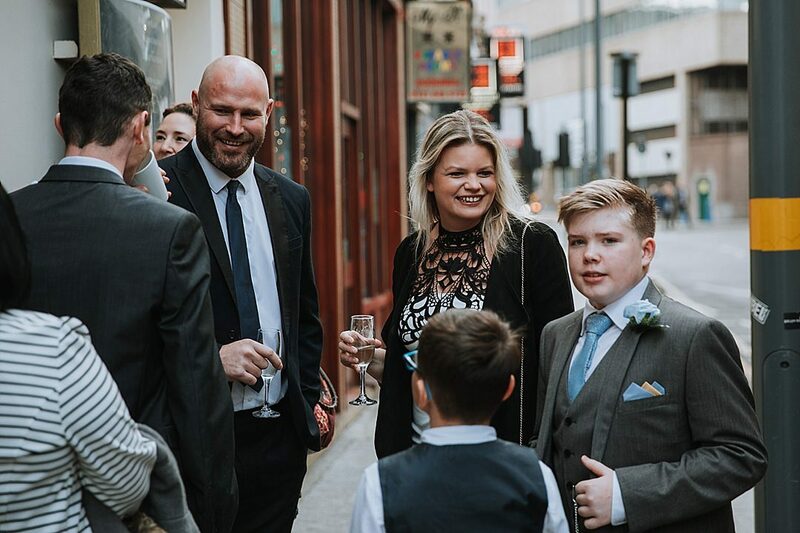 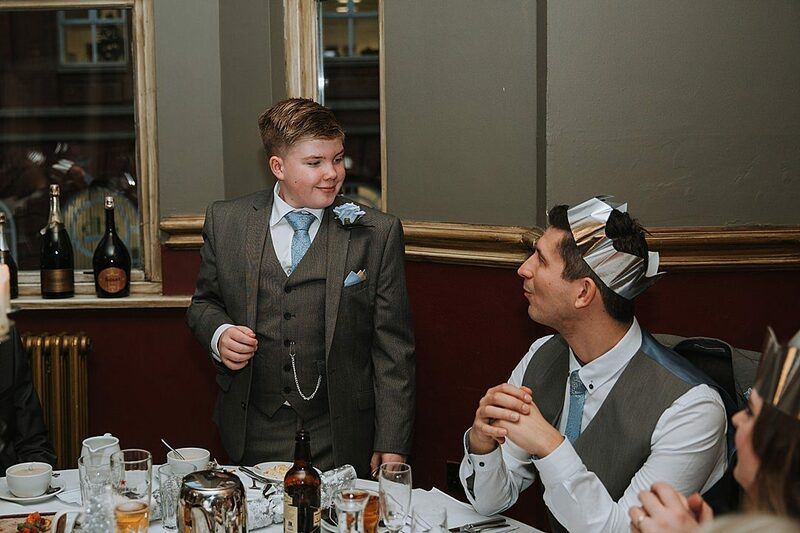 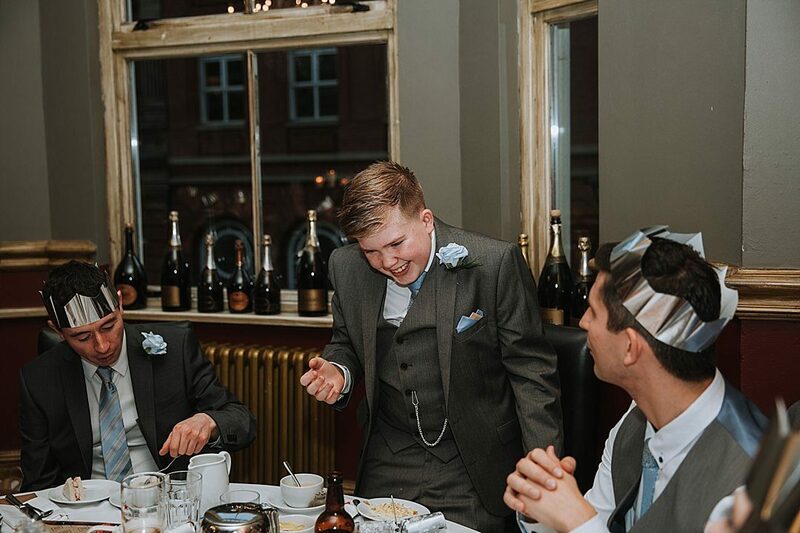 Take a look at the photos if you’re needing some Birmingham wedding inspiration for a winter ceremony and reception. 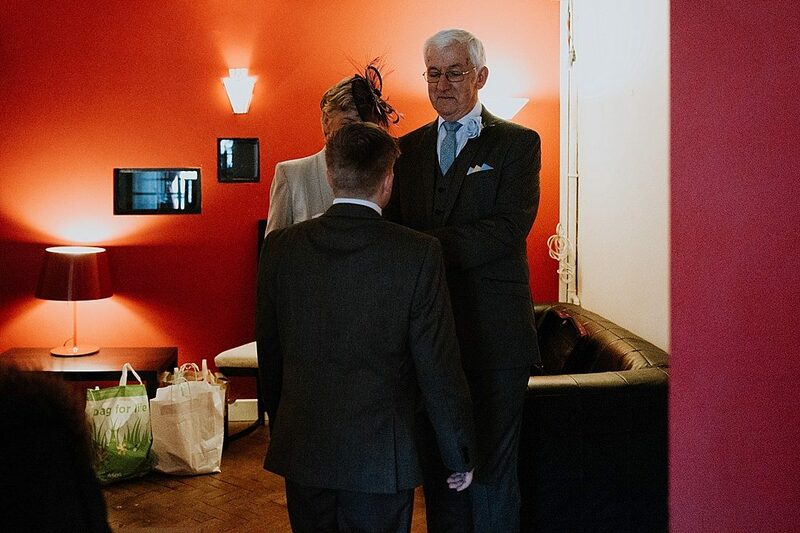 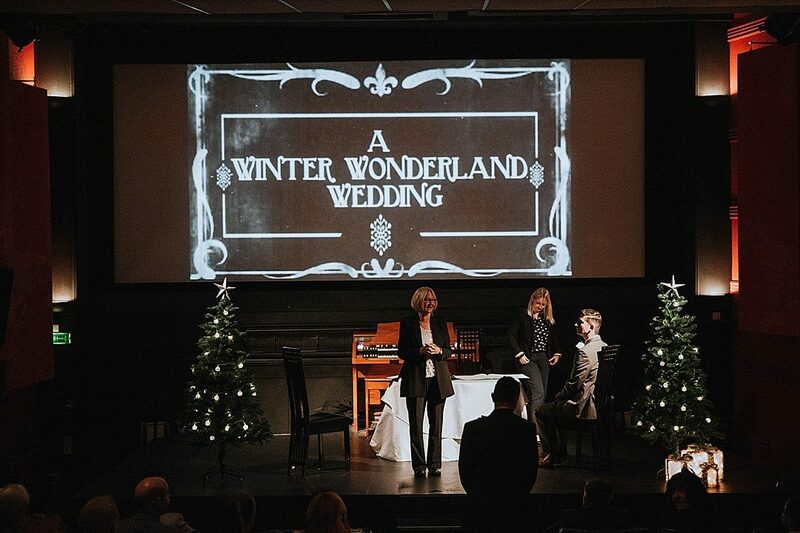 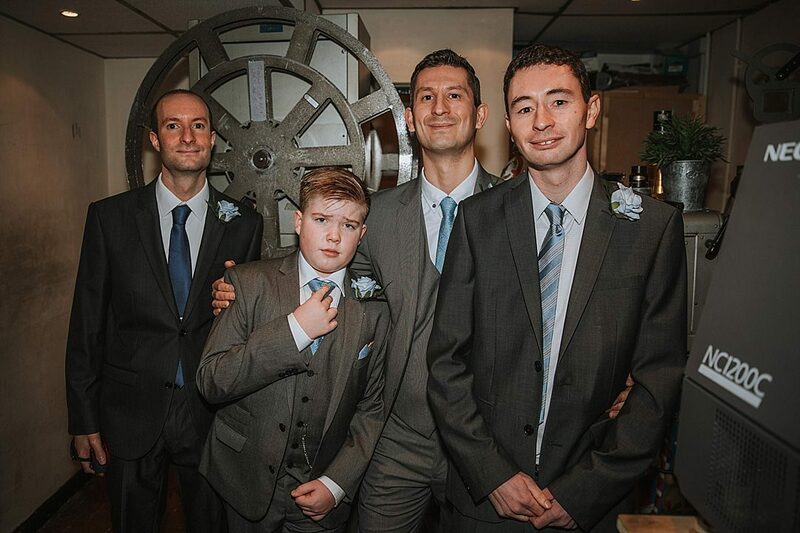 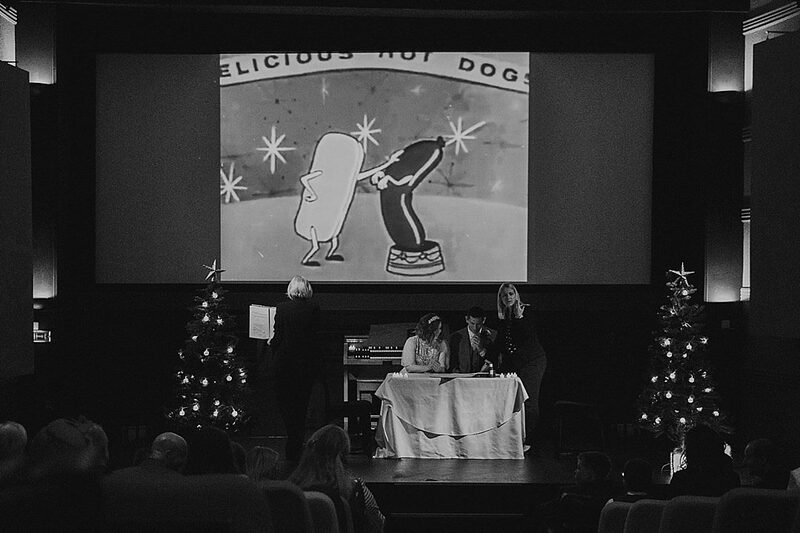 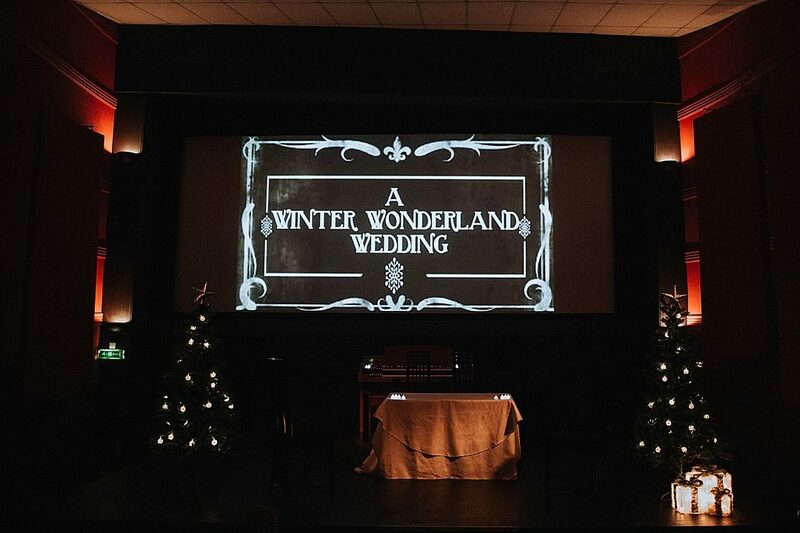 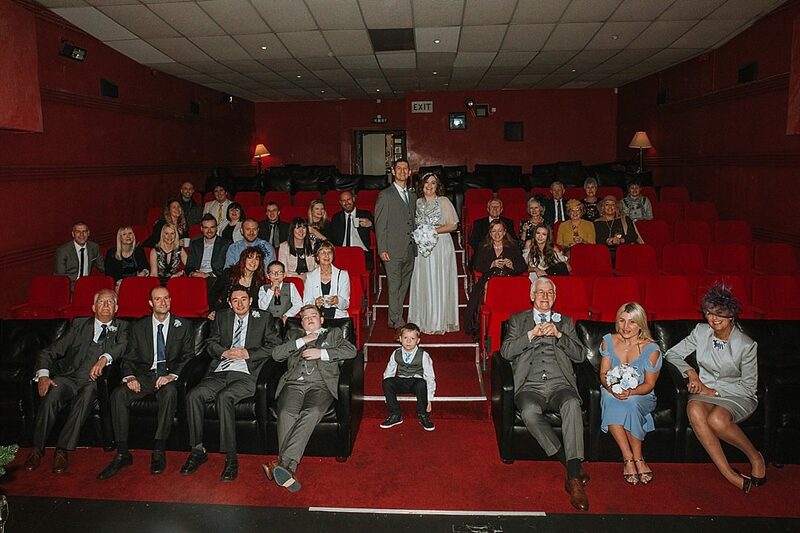 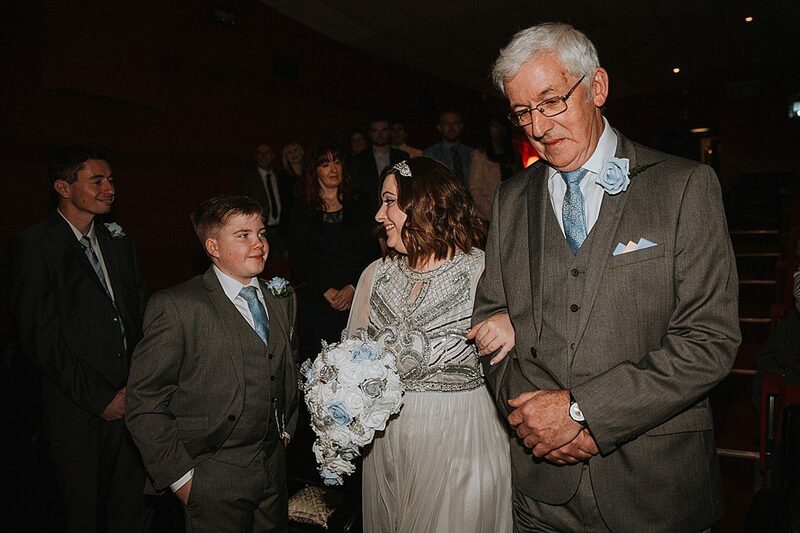 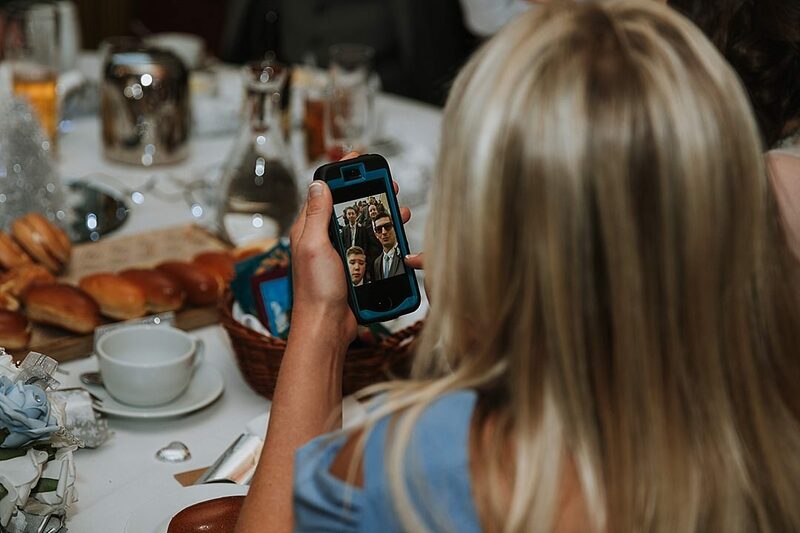 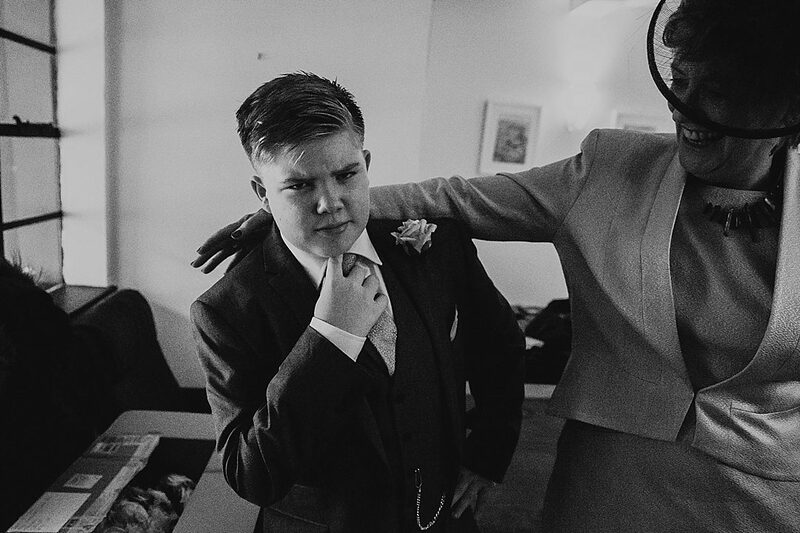 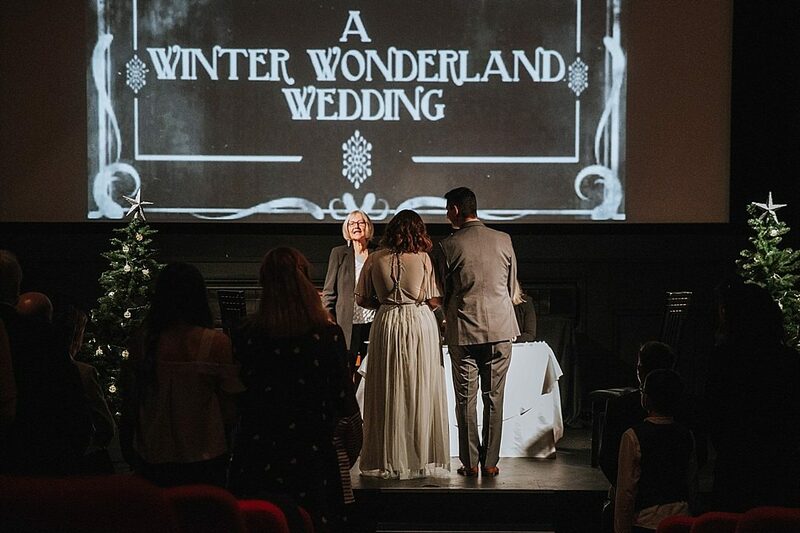 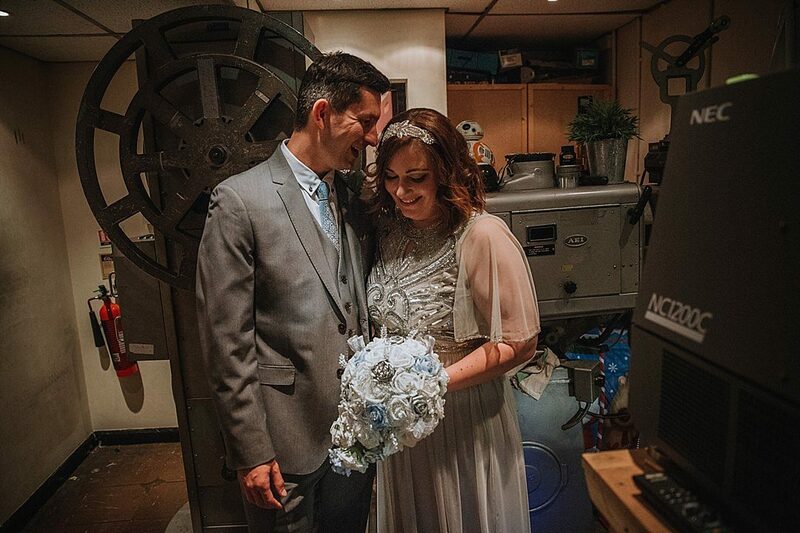 To view another Electric Cinema wedding, click here.